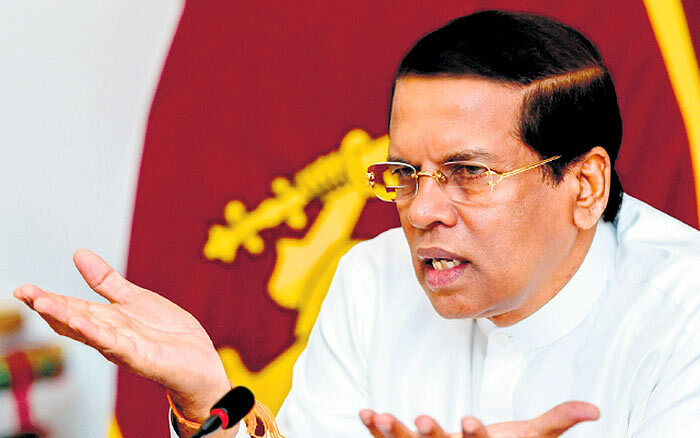 MP Lakshman Yapa Abeywardene giving a statement after a meeting with the President noted that the President informed them, that he will not appoint Ranil Wickremesinghe as the Prime Minister again. Good. But next time appoint a leader not a cheater. This dirty president ruins the country. He tells different things in different times. Wasantha Senanayake, with the lineage of 2 former Prime Ministers, is an excellent choice. UNP’ers SP and KaruJ un-patriotically turned down the President’s invitation to become PM. Wasantha Senanayake has the leadership streak in him. Note how quickly he rushed to London to save tourism from destruction by opening the new tourism initiative. Note how he chatted up with our British Saviour, Lord Naseby, who quickly defended President Maithri and put the International Community to shame. Wasnatha S is progressive youth, positive and fearless. His should be next PM. It appears SL requires international intervention in solving this dispute. The UN Secretary General should be requested to nominate a Special Representative acceptable to all Parties to conduct a formal dispute resolution process. Kenya faced a similar situation when the incumbent President Mwai Kibaki claimed victory in the 2006 Presidential Elections and was sworn in by the Chief Justice. The opposition candidate, Raila Odinga refused to accept the election outcome and refused to take the matter to Courts. There was large scale civil unrest with over 1000 lives lost and 500,000 persons displaced. The UN appointed Late Kofi Annan to mediate and a successful outcome was reached. The immediate former UN Secretary General, Ban-ki-moon was close to SL and its leaders. He is sure to play a key mediator role if requested. This is what happens when you elect idiots like Sirisena and Ranil. Shame. Grace Marampitiya proposal of WASANTHA SENANAYAKE as the Prime Minister is excellent. WASANTHA SENANAYAKE is the Rahul Gandhi in Sri Lanka’s political scene. Wasantha Senanayake is an excellent and obvious choice for the PM’s chair if the Nation is to be retrieved from the current political impasse. Benefits .MR policy is we steal you steal. Know Moththa talk or bola talk to stupid sri lankans. But Ranil should be the president as he is harmless and live by democracy.no sudu vans or disappearances . Under him,there should be a strong cabinet.